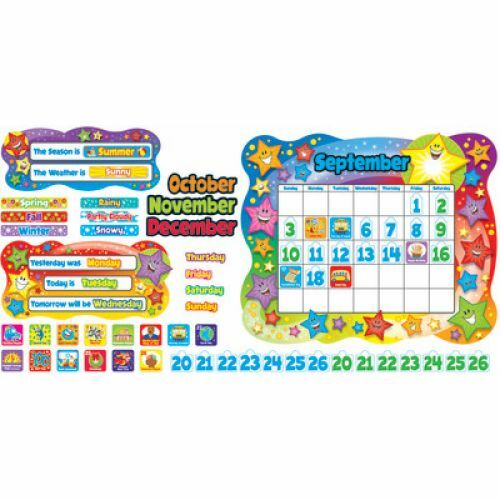 Keep track of important classroom events all year long. 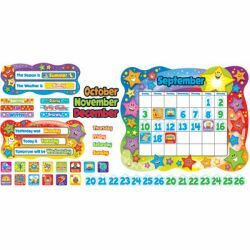 Multipurpose set includes month headers, 62 multicultural holiday pieces, two sets of numbers 1ñ31, weather and season labels, and more. 26" x 31 1/2" calendar. 165 pieces.